Moore's Federal Rules Pamphlet Part 3 - Criminal Rules offers federal criminal practitioners the full text of the Federal Rules of Criminal Procedure and Federal Habeas Corpus Procedural Rules (including official forms), with commentary and discussion of recent court decisions. 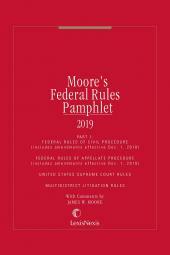 Attorneys can keep this handy and portable pamphlet in their briefcase or on their desktop. 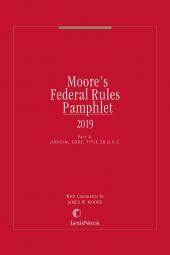 The pamphlet, available each December, only a couple of weeks after the effective date of the federal rule amendments, is timely and accurate.